If you currently provide care for a child or loved one with special needs, such as mental or physical disabilities, you must have contemplated what may happen to them when you are no longer able to provide and care for them. While you can certainly provide that they receive money and assets through your estate plan, such a bequest may prevent them from qualifying for government benefits that are essential to their care, such as Supplemental Security Income (SSI) and Medicaid. Receiving an inheritance can even kick them off of benefits that they are already receiving. Such benefits provide primarily for the bare necessities such as food, housing and clothing. As you can imagine, these limited benefits will not provide your loved ones with the resources that would allow them to enjoy a richer quality of life. Fortunately, the government has established rules allowing assets to be held in trust, called a “Special Needs” or “Supplemental Needs” Trust for recipients of government benefits, as long as certain requirements are met. Our law firm can help you set up a Special Needs Trust so that government benefit eligibility is preserved, while at the same time allowing you to provide assets that will enhance the quality of life of your loved one. Assets in a Special Needs Trust can be used to meet the supplemental needs of the disabled person, which are those needs that go beyond food, shelter, clothing and the medical and long-term care services of the government benefit programs. This is such an important need that the government wrote the laws regarding Special Needs Trusts to require that Special Needs Trusts be designed specifically to supplement, not replace, government benefits. The laws also establish several other safeguards for Special Needs Trusts, such as the fact that funds from the trust cannot be distributed directly to the disabled beneficiary. Instead, they must be disbursed to third parties who provide goods and services for use and enjoyment by the disabled beneficiary. Special Needs Trusts are a critical component of your estate plan if you have disabled loved ones. Generally, Special Needs Trusts can be either stand-alone trusts funded with separate assets like a life insurance policy, or they can be a sub-trust component in your existing estate plan. There are even charitable organizations devoted to administering Special Needs Trusts for disabled beneficiaries, so you can establish your loved ones’ trust through those organizations while you are alive or after you pass away. 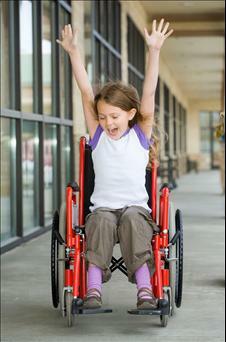 It is crucially important to plan appropriately for your loved ones with special needs. Our law firm is well-versed in this complex area of the law, and we are dedicated to helping you develop a plan that will accomplish your goals for the continued care and quality of life of your loved ones.